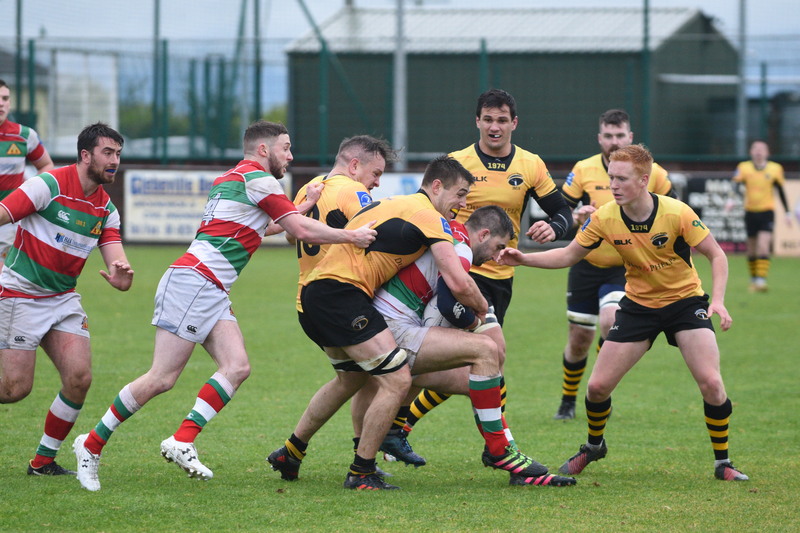 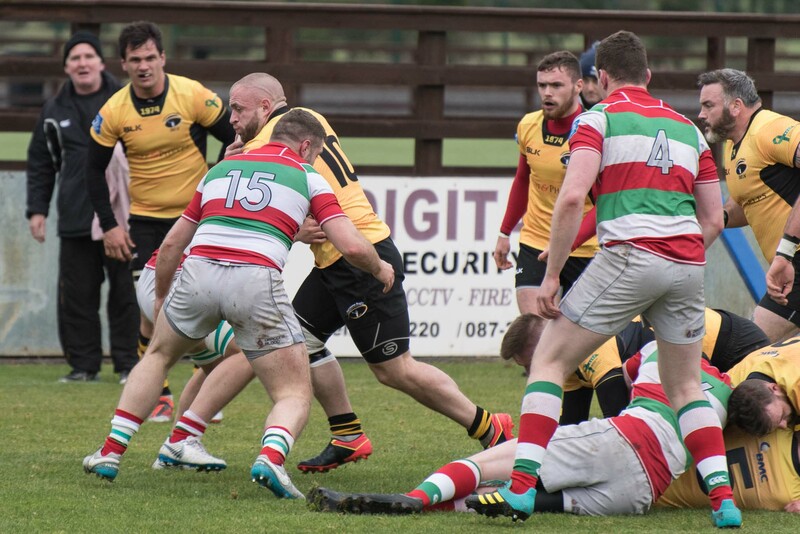 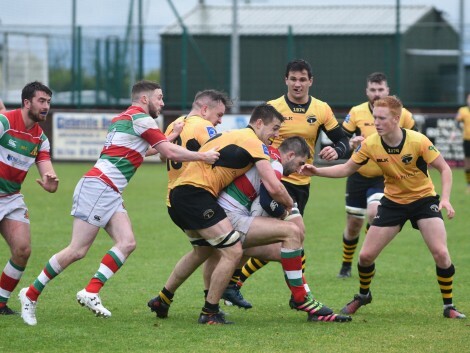 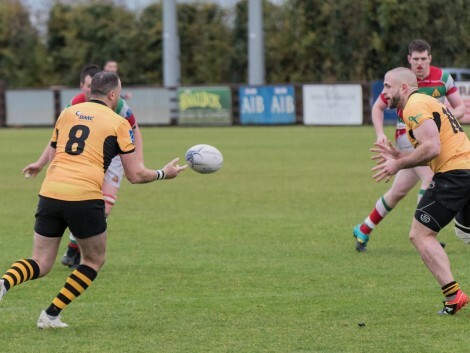 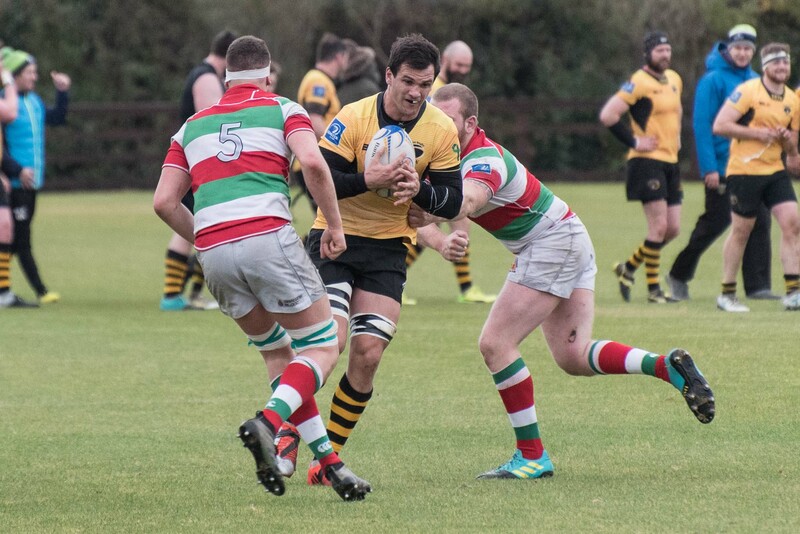 Ashbourne recorded their second league win of the season with a hard fought 10 points to 6 win over D4 side Bective Rangers at Milltown on Saturday. 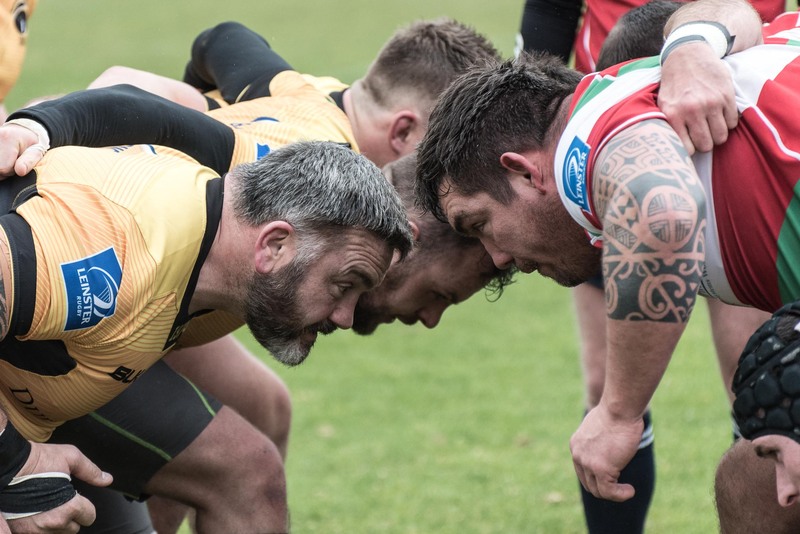 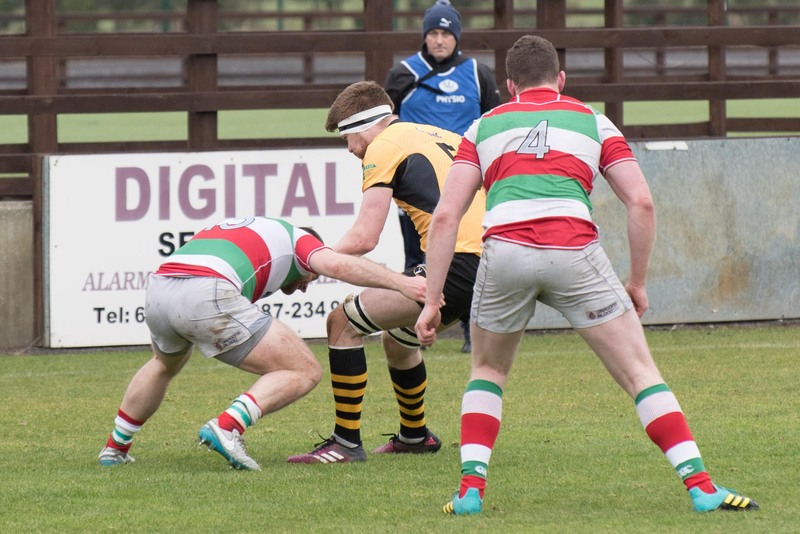 In a cold and windy day the home side held on to a slender lead to see out the game and carry their form from the previous week into this game. 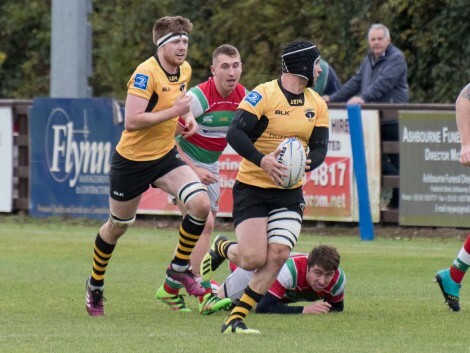 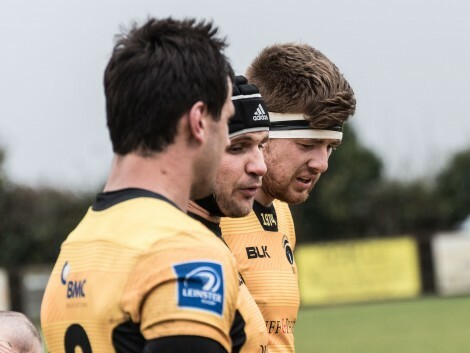 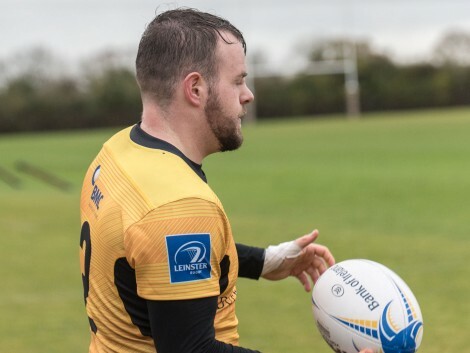 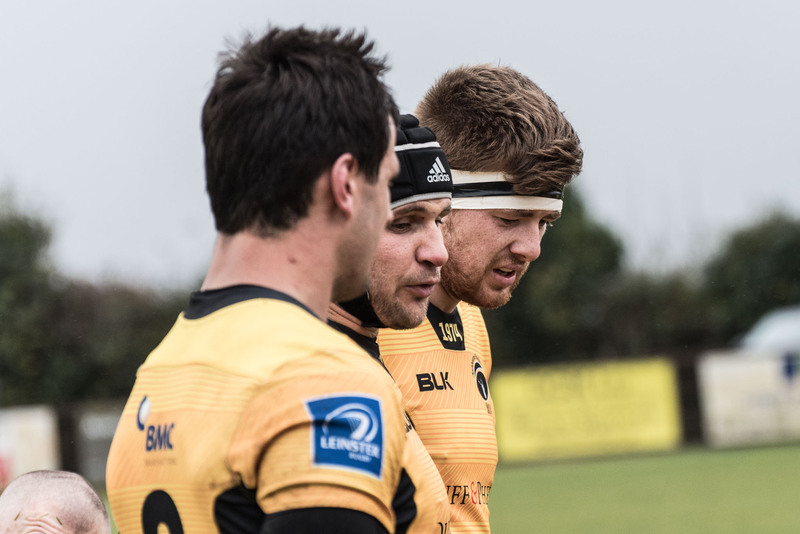 The Ashbourne backline had one change with Donal Crotty in for the injured McNally, while the pack saw the return of the Whittaker brothers and Alan Wall resumed at loosehead. 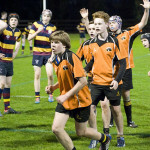 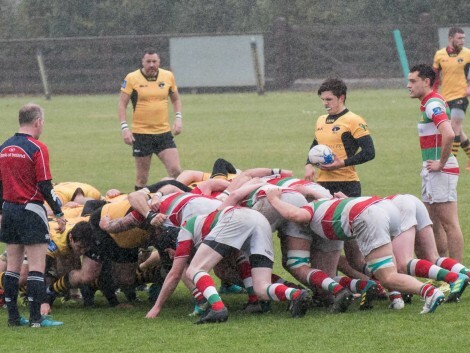 Ashbourne were playing into a strong wind in the first half and expected to be under pressure from the start. 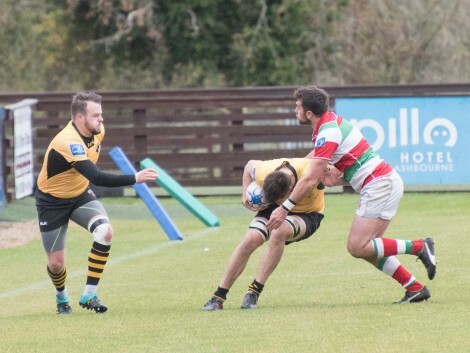 Bective whose league form has been better were expected to offer a big challenge and they started with intent but made little useof the wind. 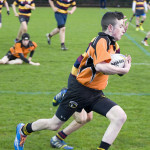 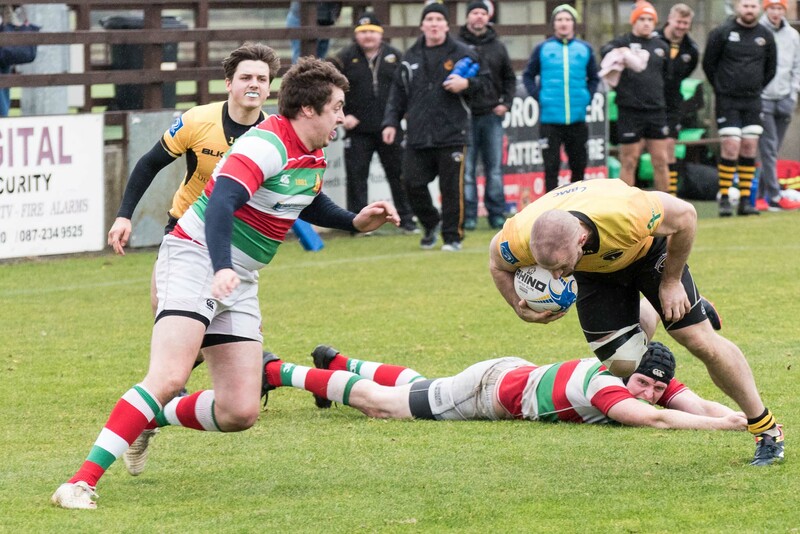 It was Ashbourne who struck early on with a Craigie try in the right corner. 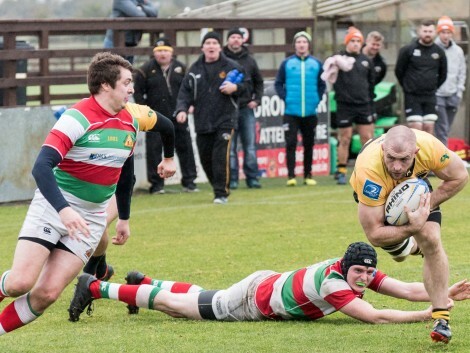 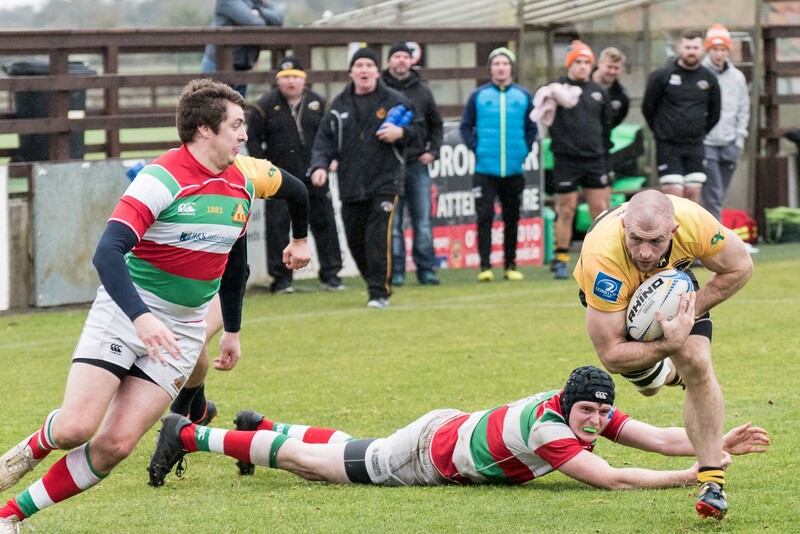 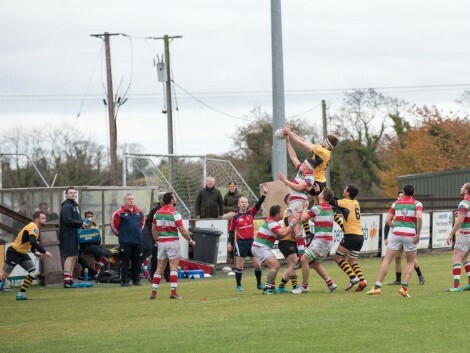 From a lineout on the Bective 22, Norton found Andrew Whittaker at the front of the line and the maul drove towards the try line. 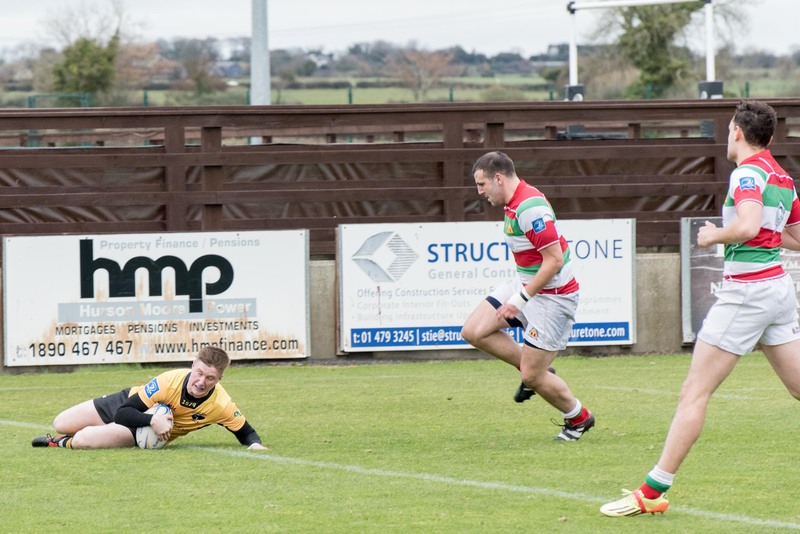 When stopped, after anoither carry from Wall, Bass recycled to Crotty whose pass found Murtagh coming in from the wing. 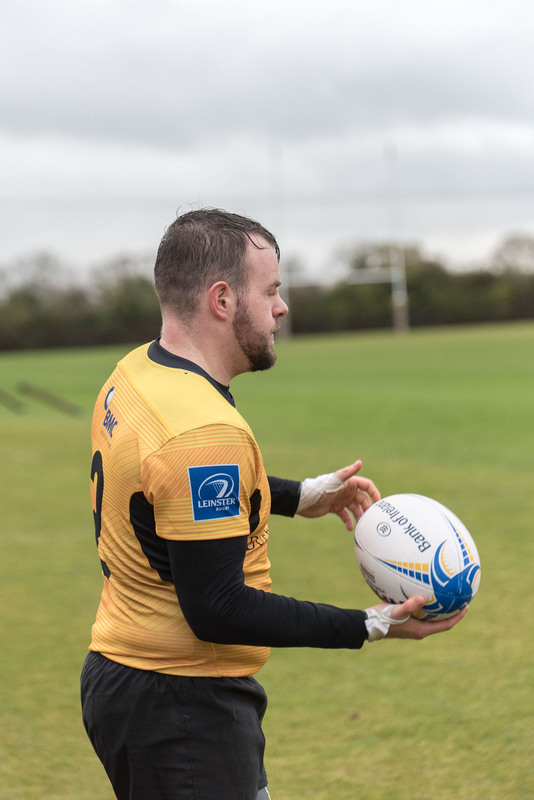 He was stopped in the cneter of the field and the move continued with Bass going right to McKeon. 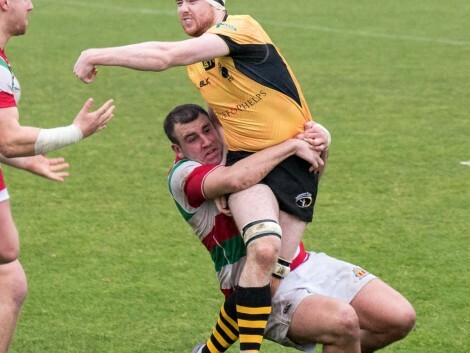 He carried and was stopped, Bass again went right to Crotty who put Craigie into a gap where he evaded the tackler to score from 15 meters out. 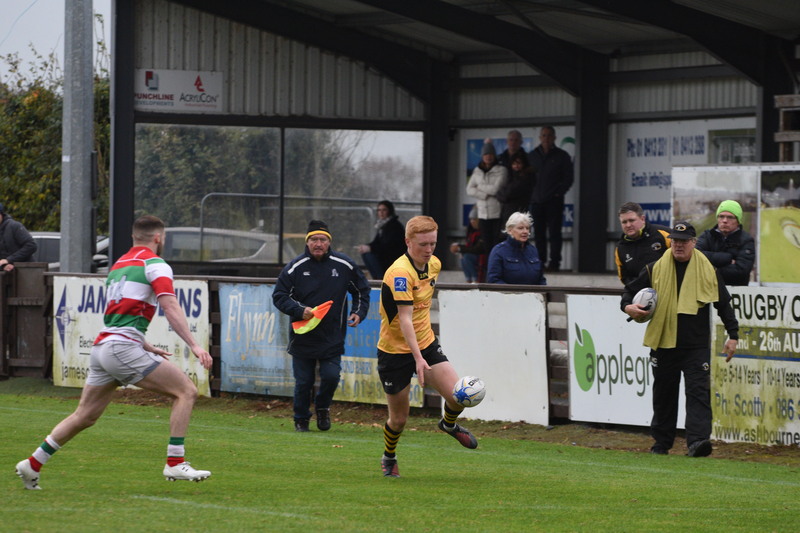 Crotty took the conversion into the wind but dropped the ball short and after 4 minutes Ashbourne were 5 nil ahead. 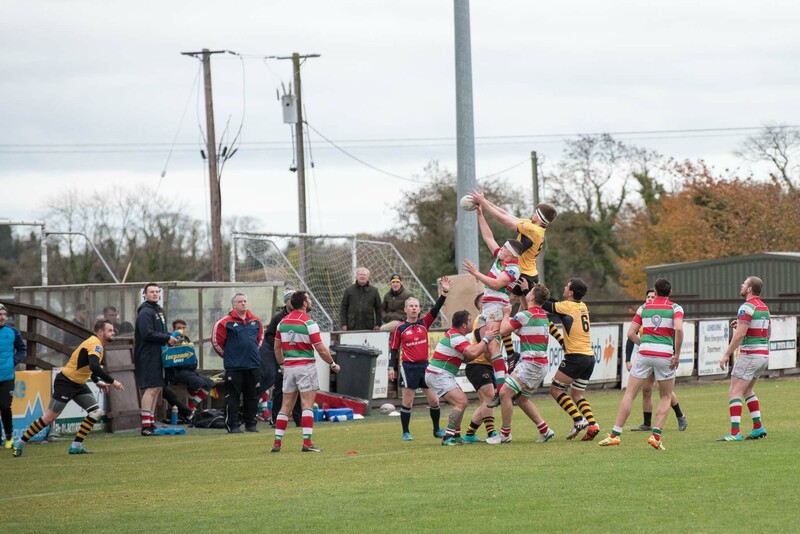 Bective were very much here to win and came at Ashbopurne from every angle but the home side was up to the game. 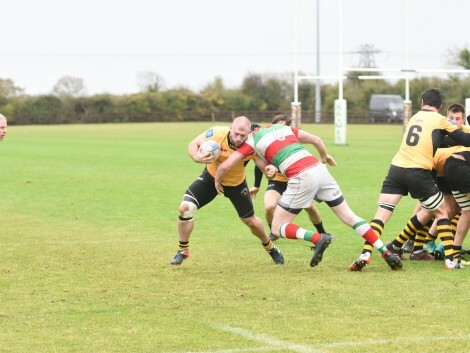 The defence was solid and neither side were giving anything away. 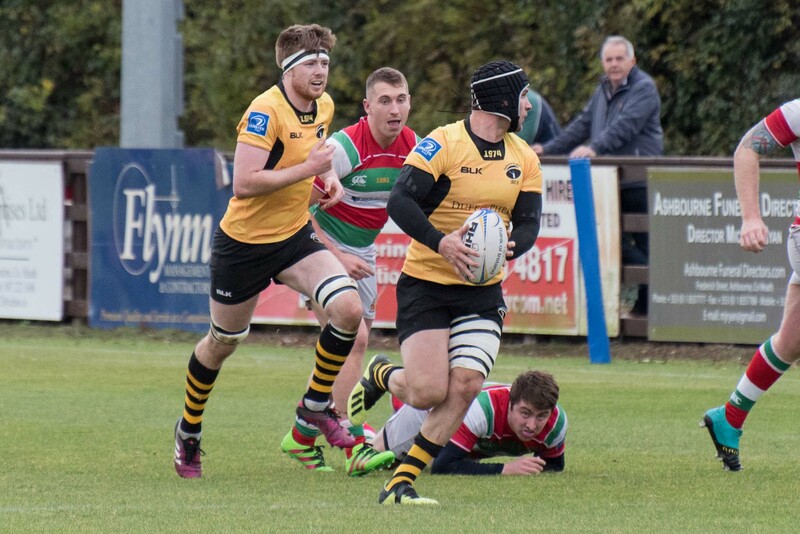 Murtagh was impressive on left win while O’Brien and Martin were solid in the centre. 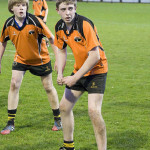 Toolan, starting his second game this season at fullback, was comfortable and kick well out of hand. 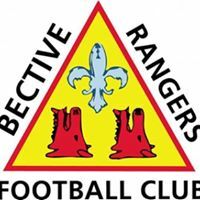 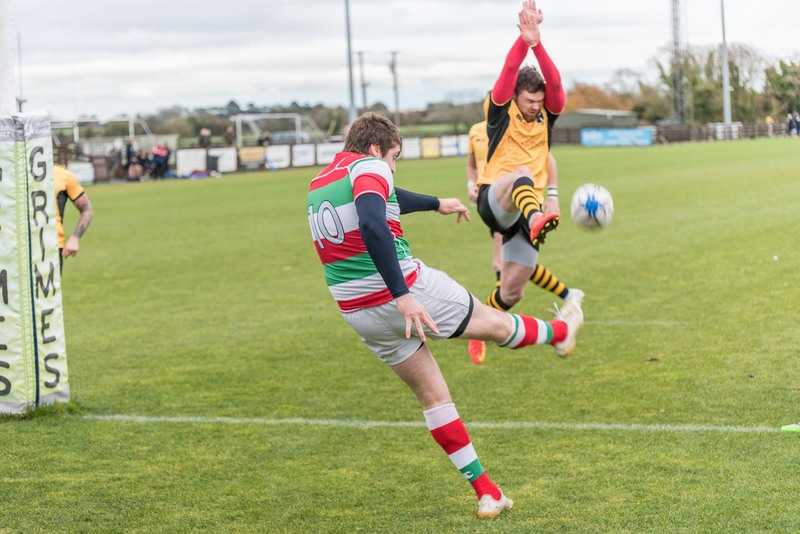 The side was disciplined but conceeded a penalty in the 24th minute to Bective whose kicker surprisingly missed and the scored remained at 5 nil to Ashbourne. 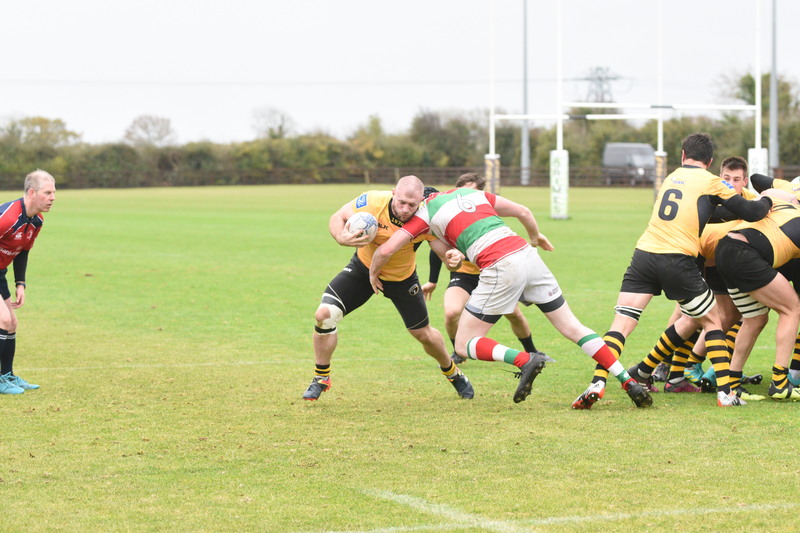 The pack were holding their own and driving well. 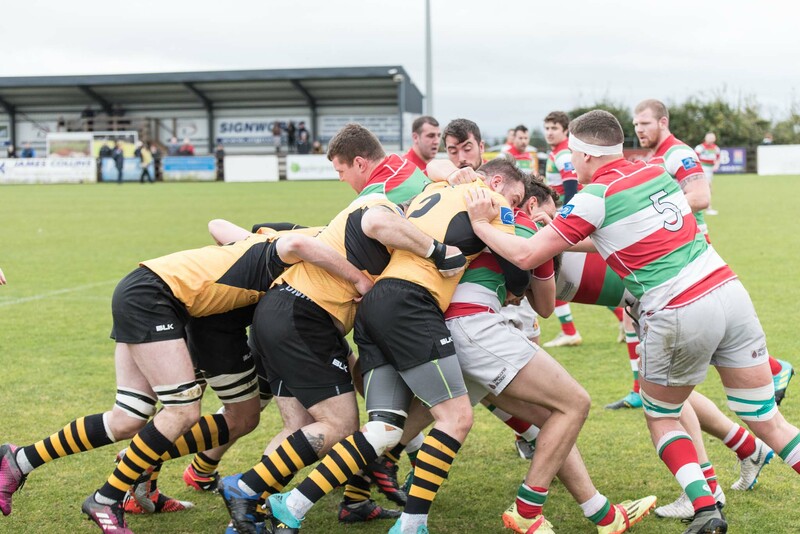 The scrum was solid though the referee seemed to have issues with the dominant scrum. 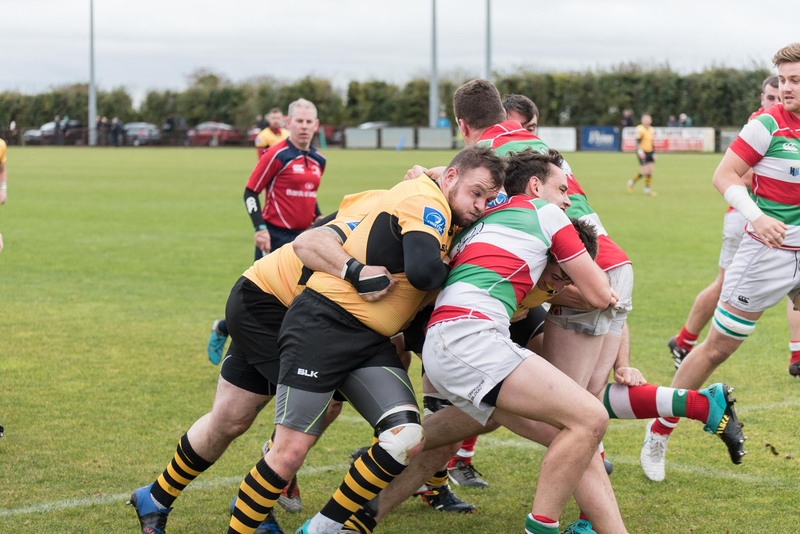 So it was fitting that the pack picked up the second try in the 38th minute. 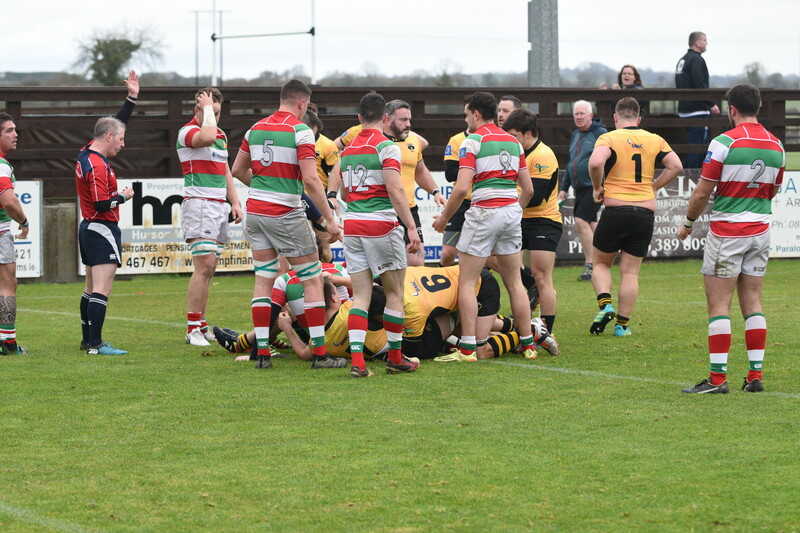 From a scrum in the Bective 22, Ashbourne won their put in and drove forward with Bective in trouble. 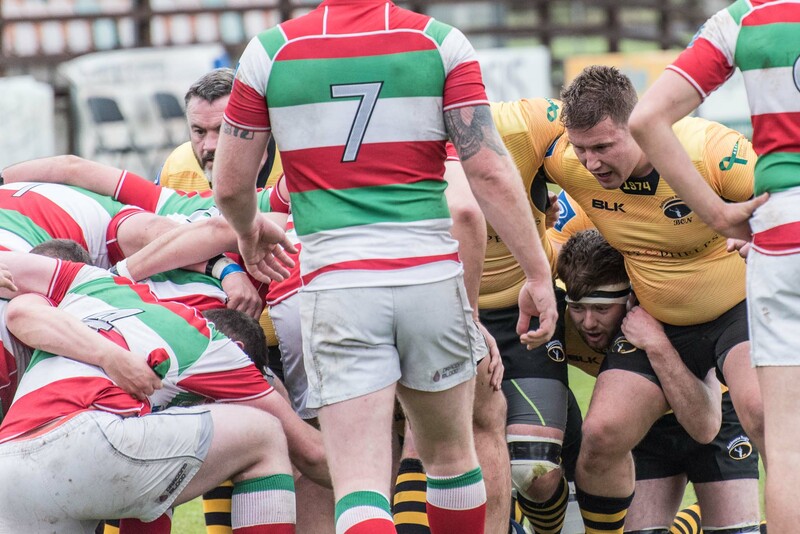 Playing a penalty advantage as the scrum wheeled right. 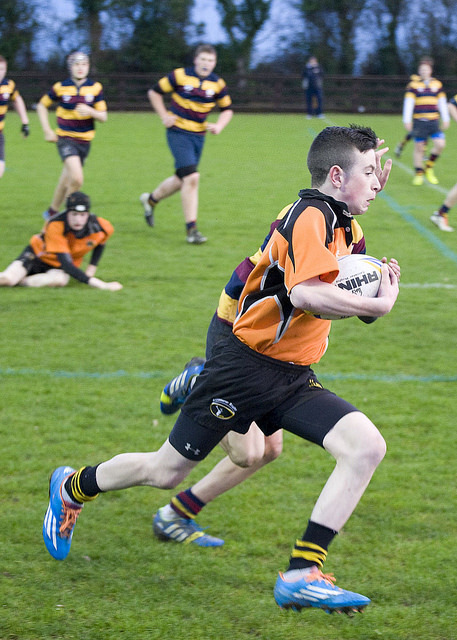 Deevy broke from the base and was stopped shy of the line. 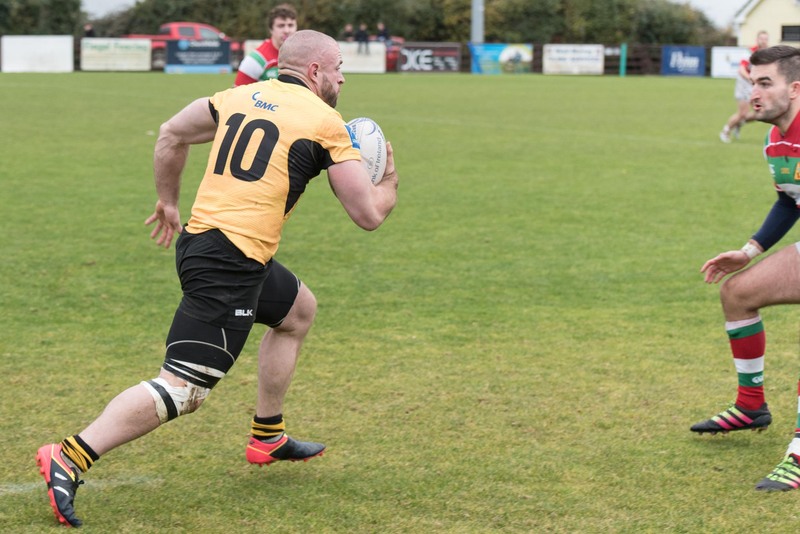 Andrew Whittaker arrived a picked the available ball and drove over for the unconverted try. 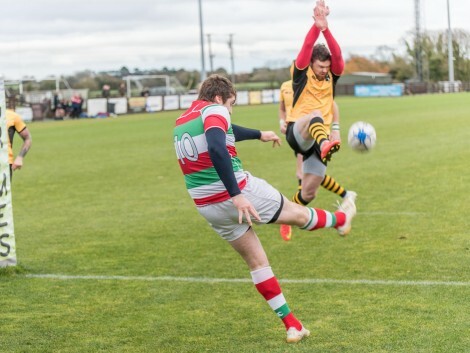 This stretched the lead to 10 nil as the half time whistle blew. 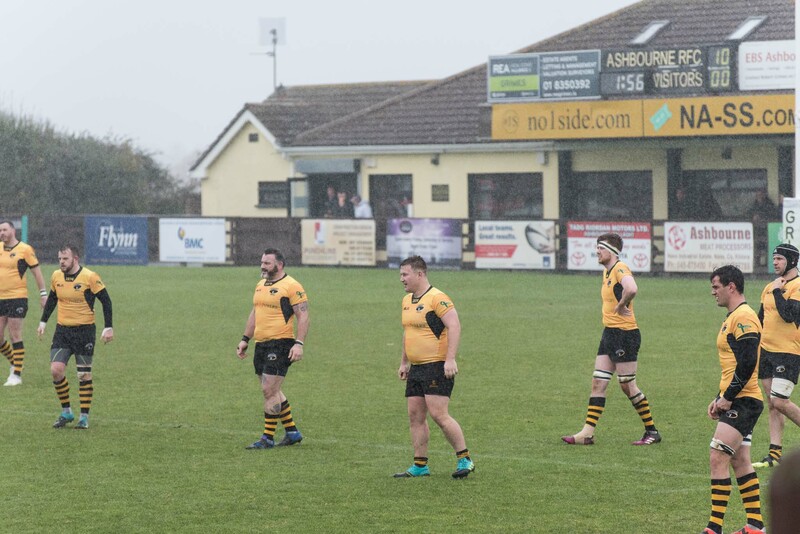 Ashbourne had hoped for help from the wind in the second half but it seemed to die down, though the rain became heavier. 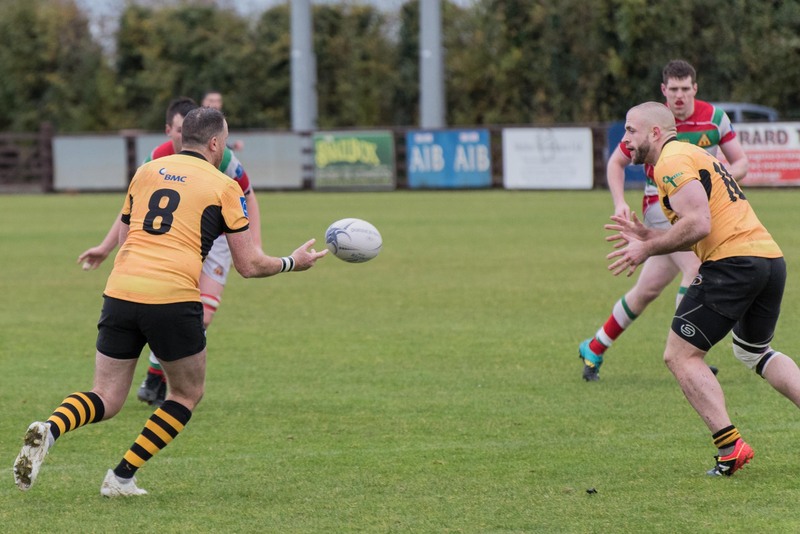 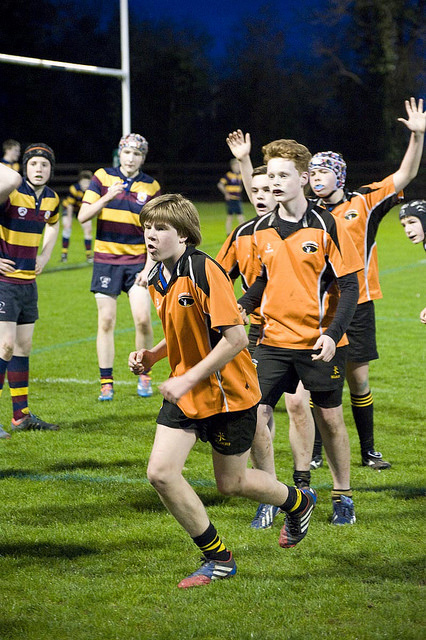 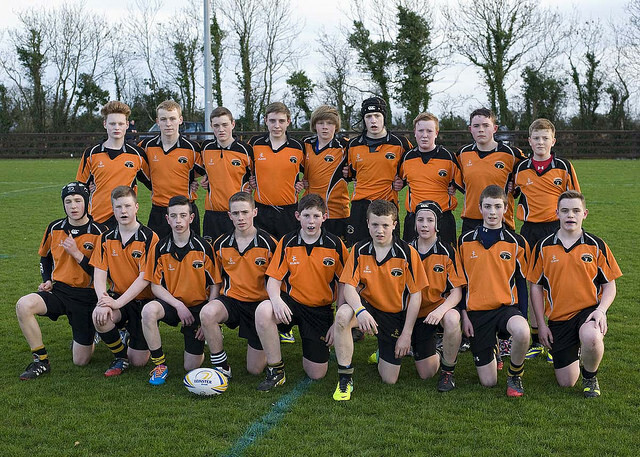 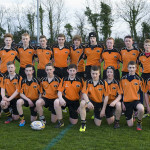 As it transpired Ashbourne were not to score again as hard as they tried. 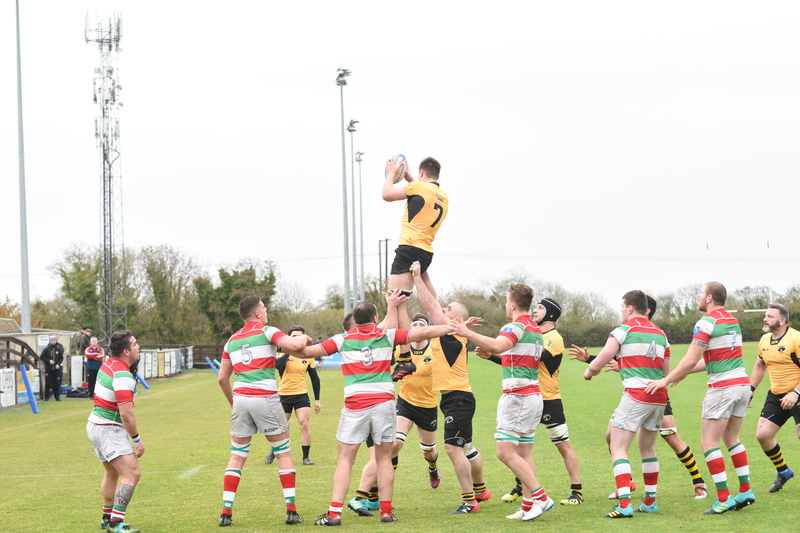 There were plenty of attacks and a great effort all round but the Bective defence was up to the challenge. 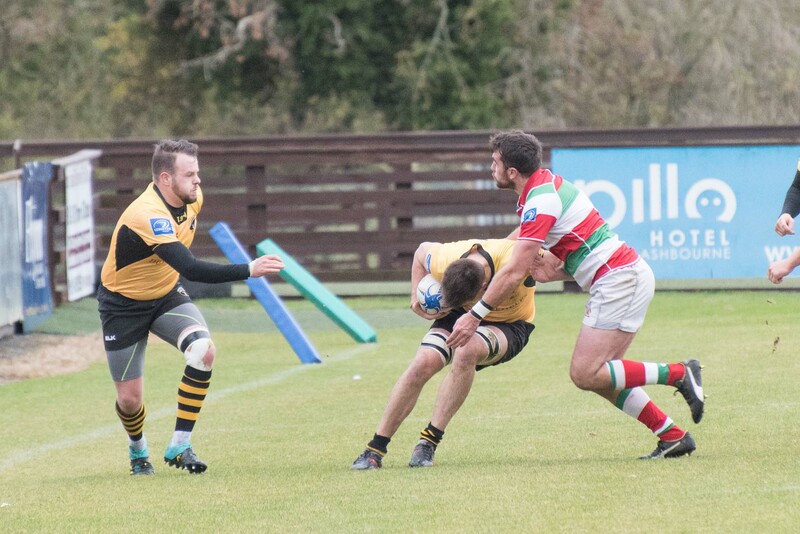 10 minutes into the half Bective converted their first penalty and the pressure started to build on the home side, but the tackling was impressive and in fairness conditions for both sides were not great with a slippy ball and it was difficult to play flowing rugby. 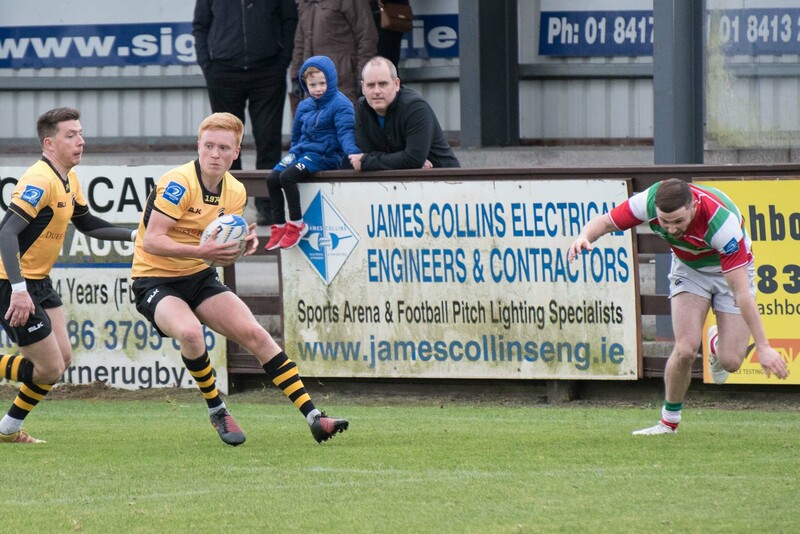 McCaghy came on for Norton, who continues to impress, while Sean Kent came in for Conor Hurley as the half progressed. 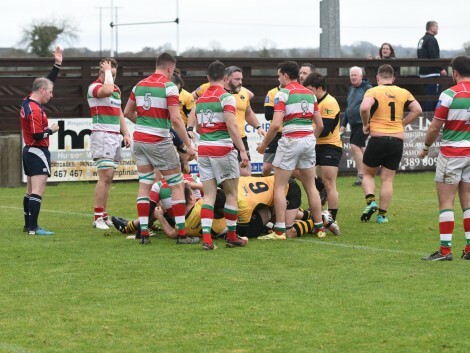 But is was Justin Whittaker’s yellow card for a high tackle in the 28th minute that ramped up the pressure but Ashbourne stood firm. 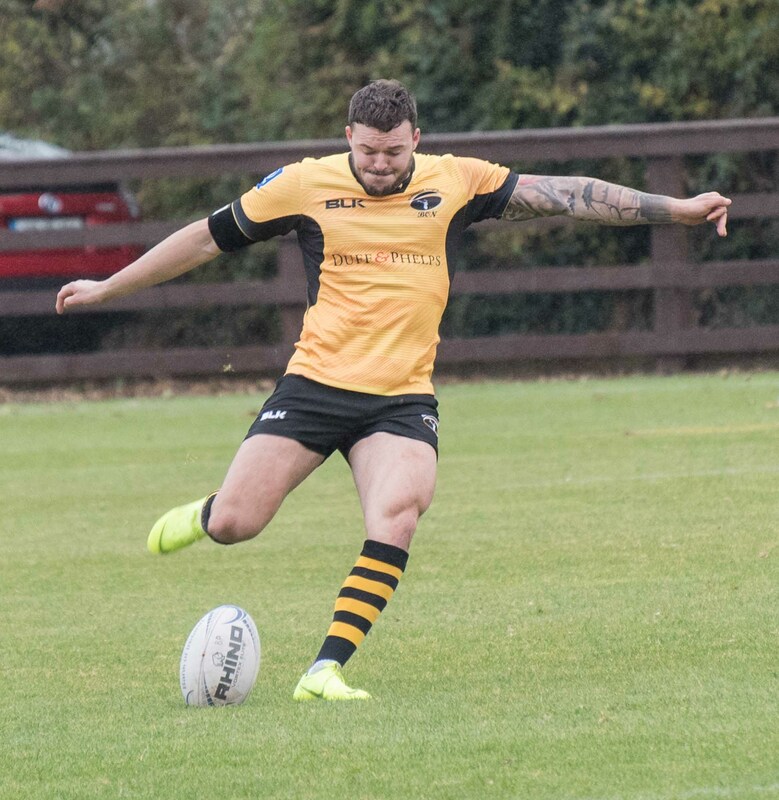 Keegan came on for Beehan and as a unit Ashbourne worked hard. 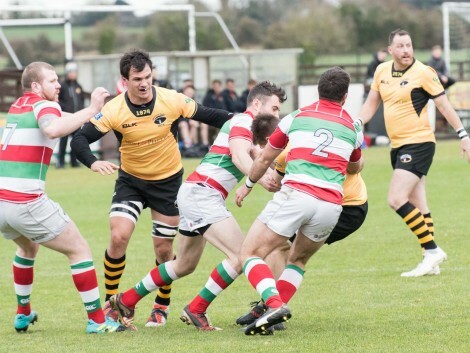 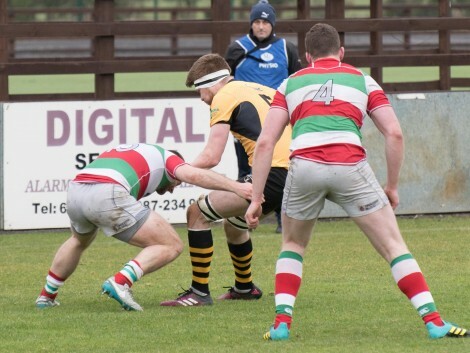 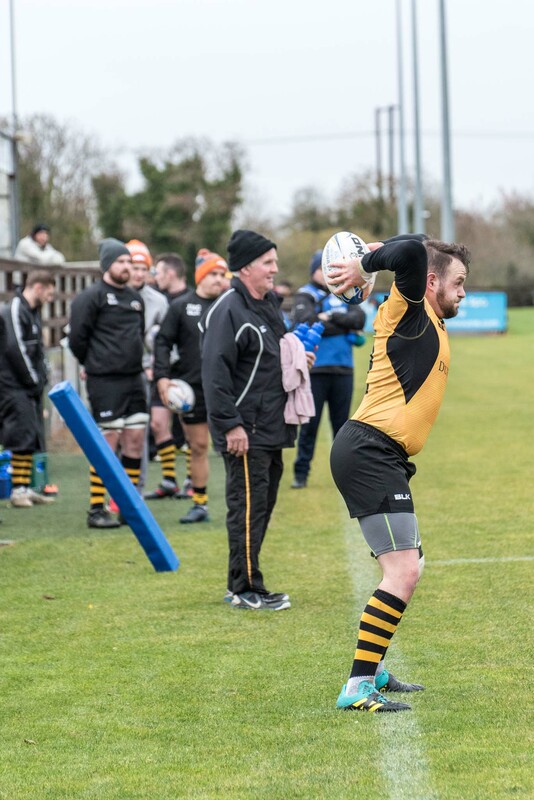 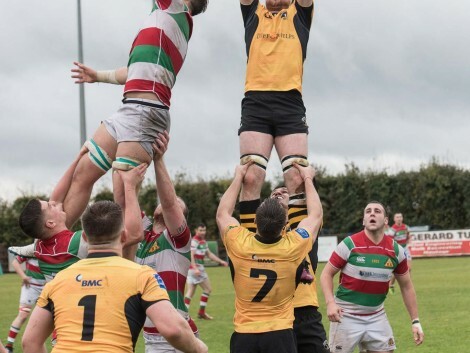 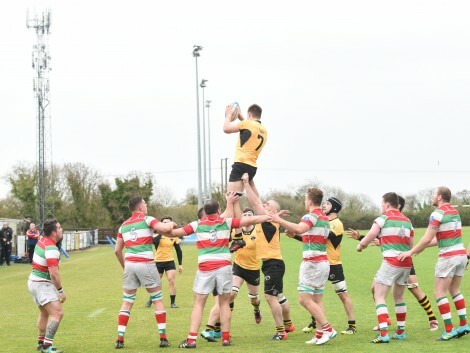 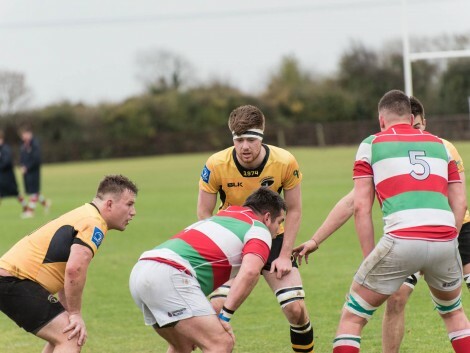 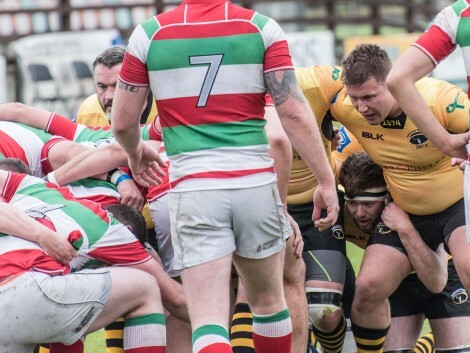 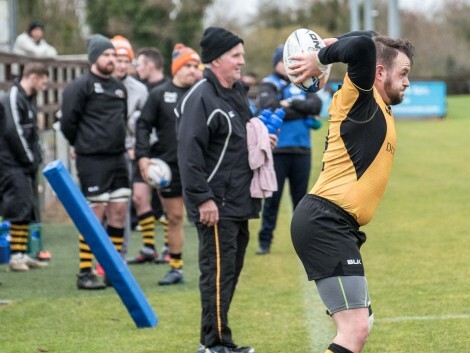 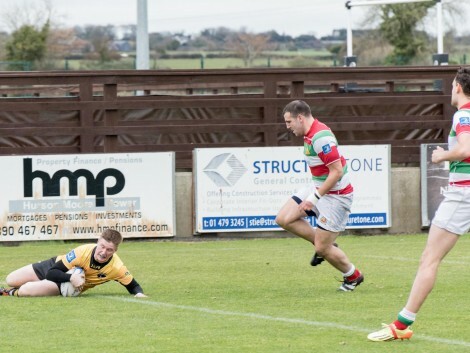 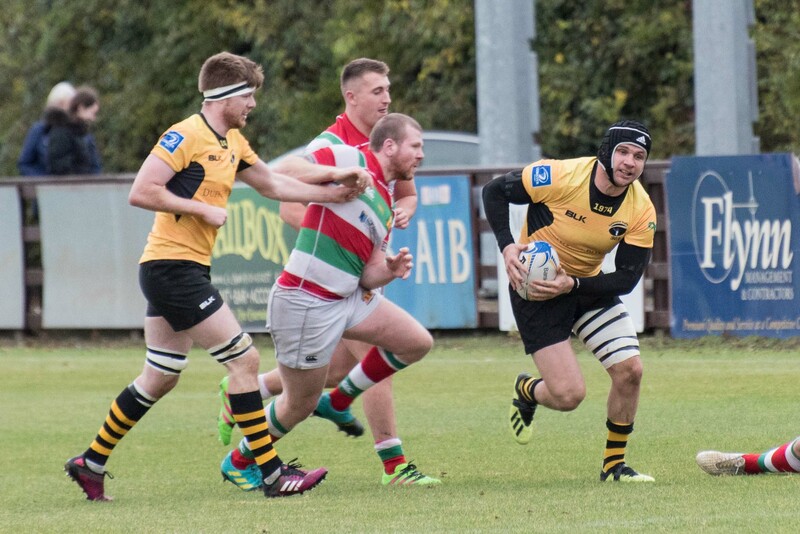 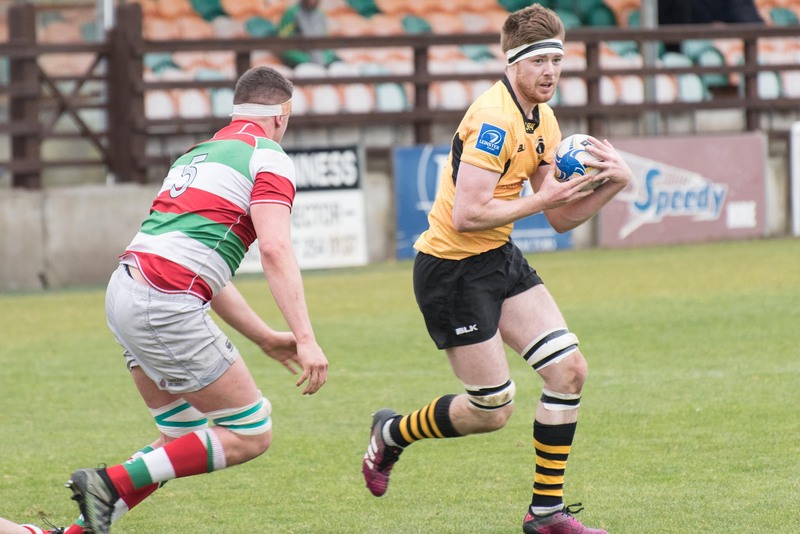 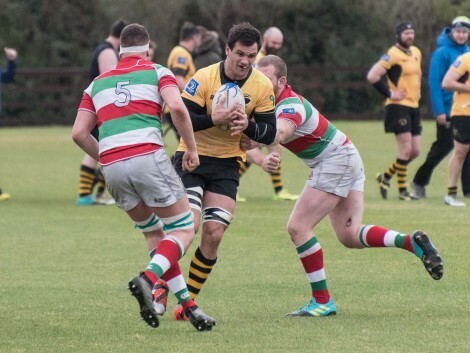 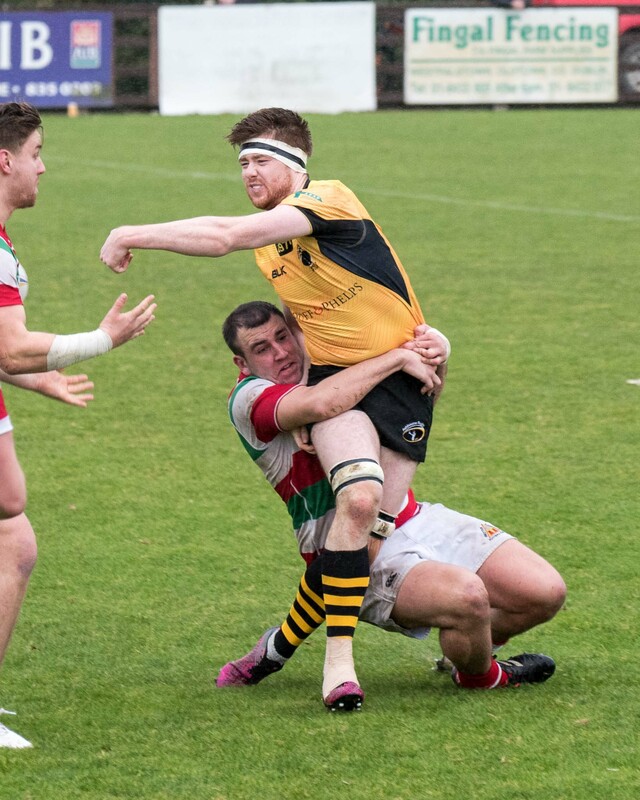 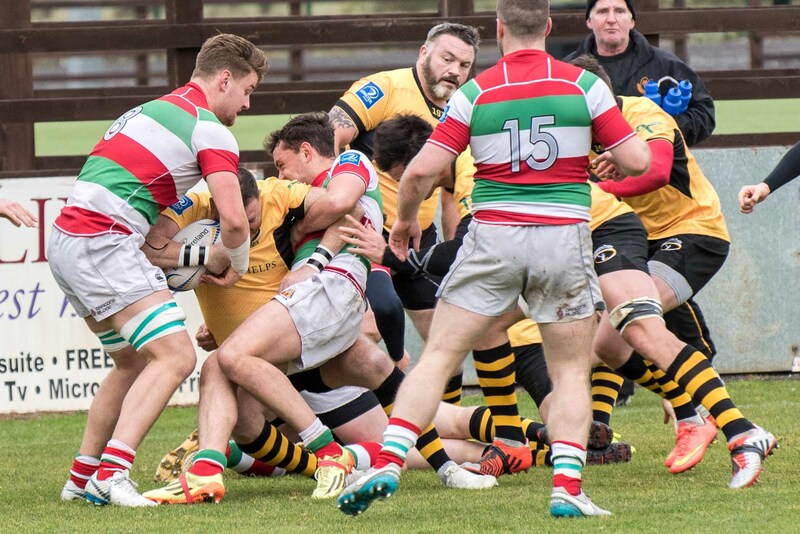 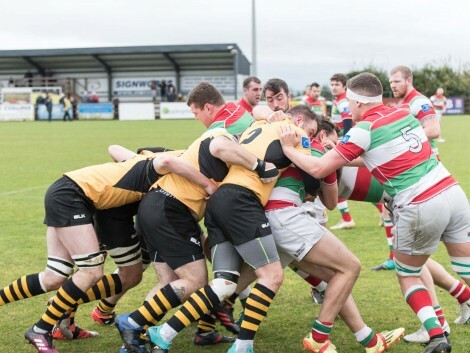 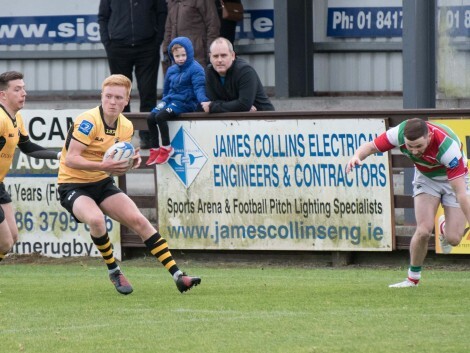 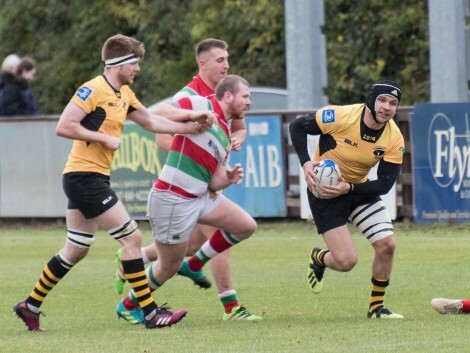 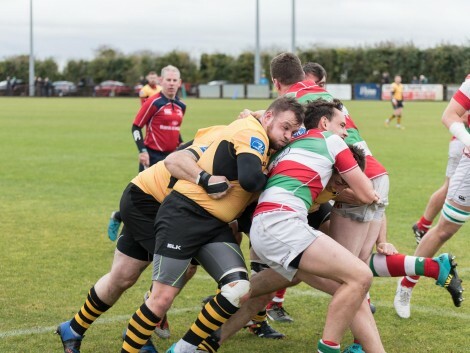 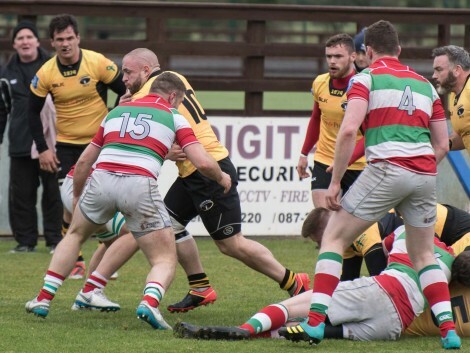 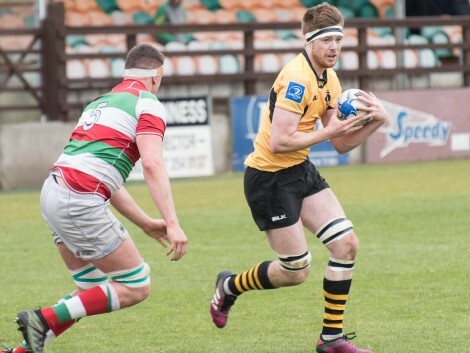 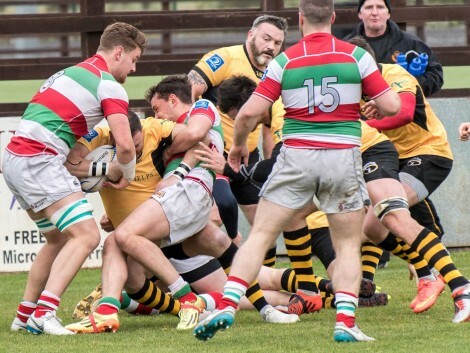 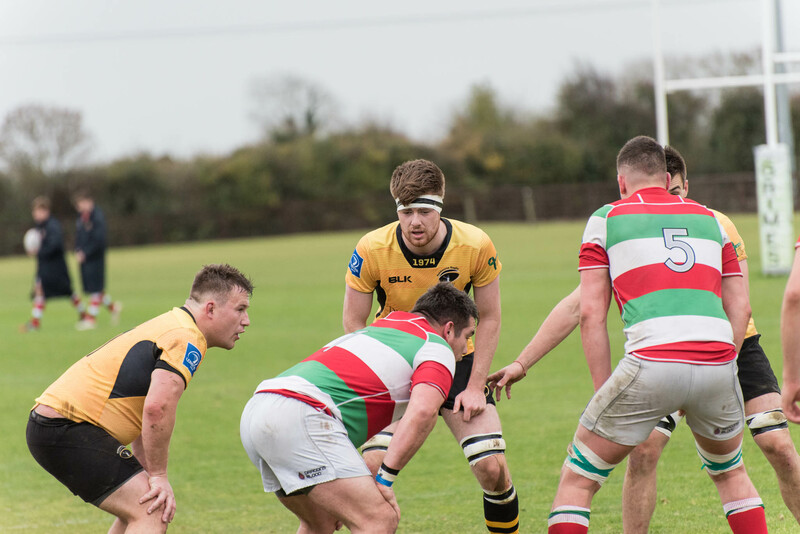 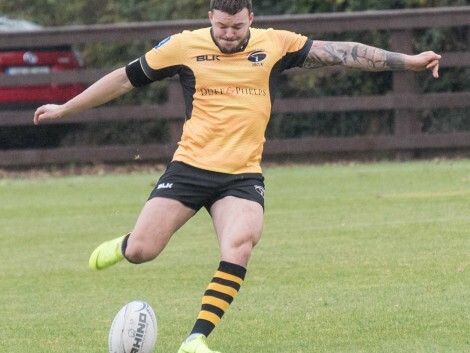 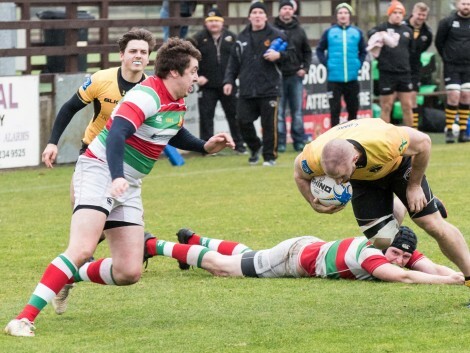 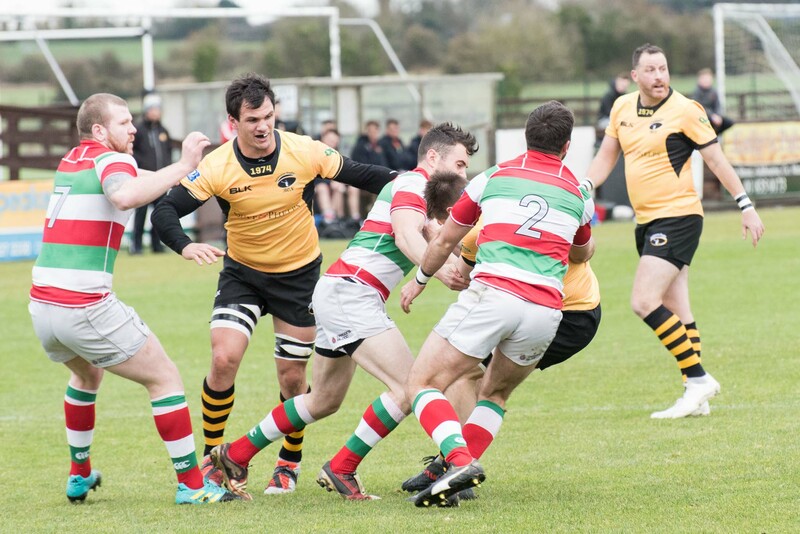 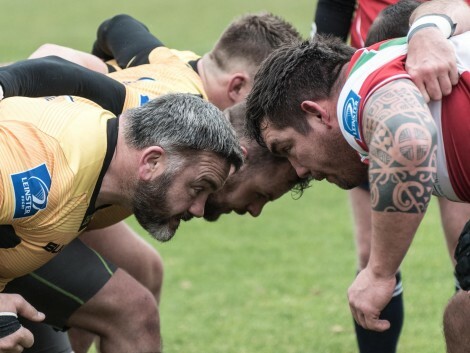 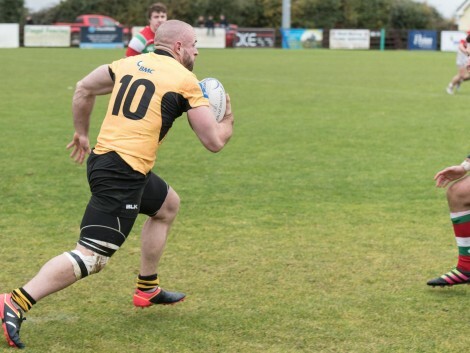 Bective converted their second penalty in the 38th minute when a kick to the corner might have seemed a better option and with Ashbourne back to full strength, a Bective win seemed unlikely then. 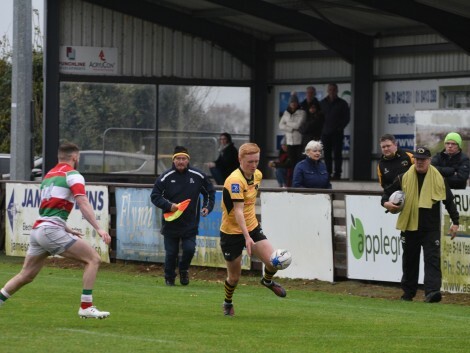 Connolly came on to help see the game out and Ashbourne were happy to take the four points and move on. 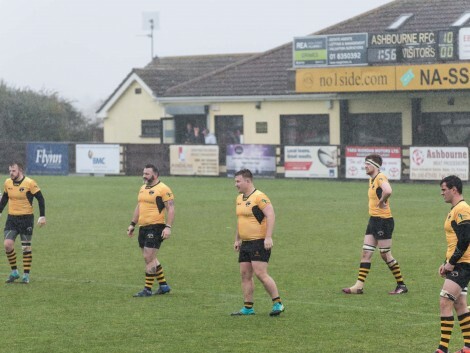 Playing about 6 minutes of injury time the game seemed to be endless but when Bass kick the ball into touch the sizeable home crowd were happy. 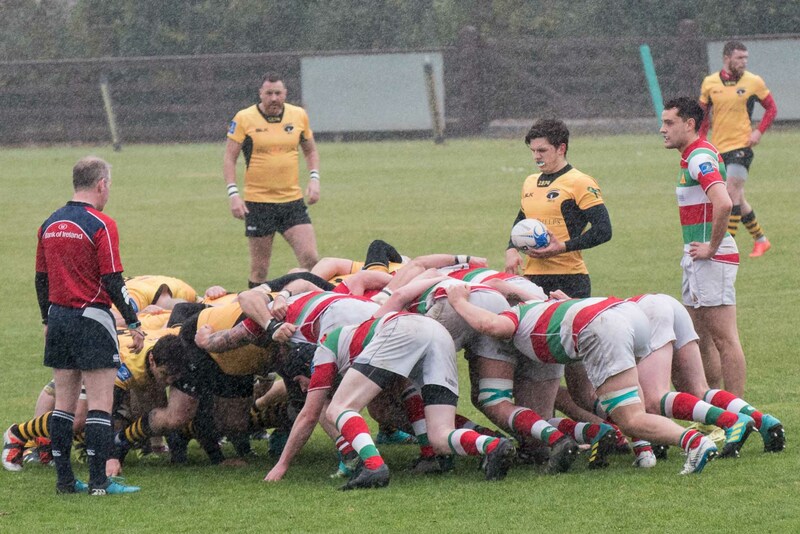 Not a classic game considering the conditions but a win is a win! 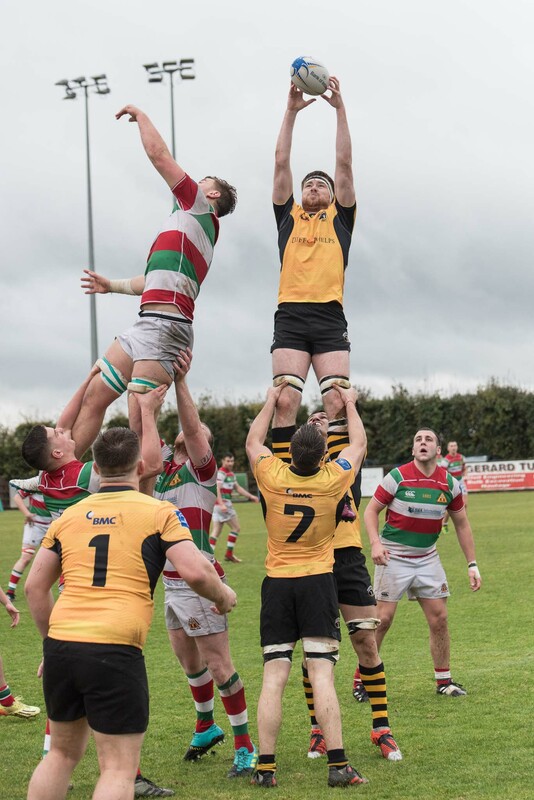 This was the second win of the day with Ashbourne 2nd XV continuing their winning ways with a 21 points to nil win over Bective to maintain top spot in their league.